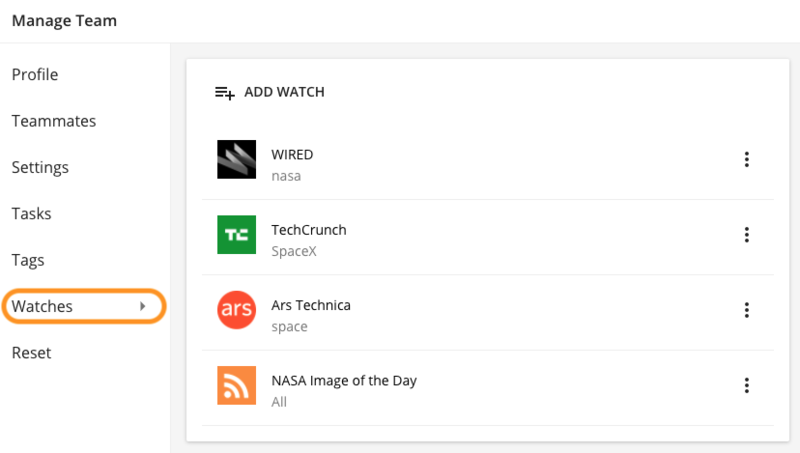 News Streaming (formerly named the “Watcher” tool) is a great way to monitor social media mentions, news articles, and RSS feed content right inside of Ryver. 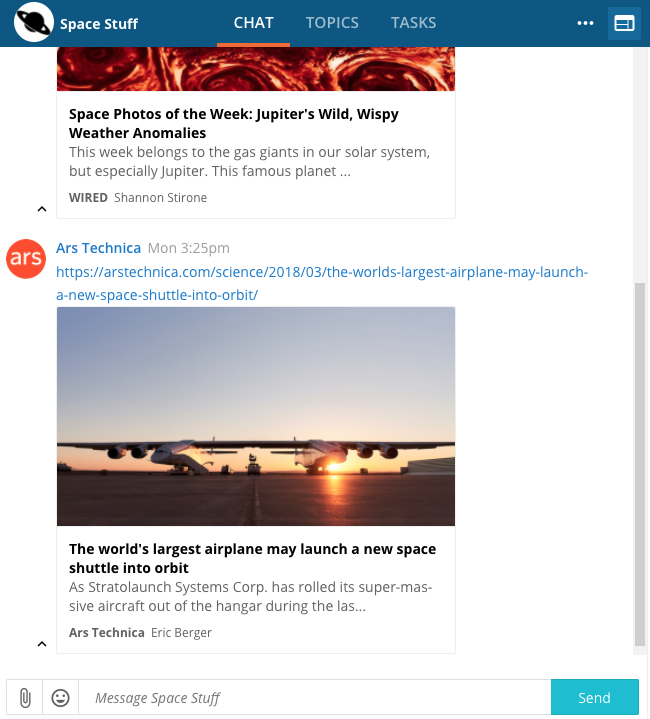 As new posts and articles are created in social media, the news, or RSS feeds, previews of the articles are posted to the Chat space in your designated Forum or Team. Each keyword must be separated by a space. If you add more than one keyword, they will be “anded” together, meaning each keyword must exist in the article name or description. For example, adding the keywords “smart car” will look for articles that contain the word “smart” and the word “car”. If you want to find articles that contain one keyword OR another keyword, you would create a separate watch for each keyword. 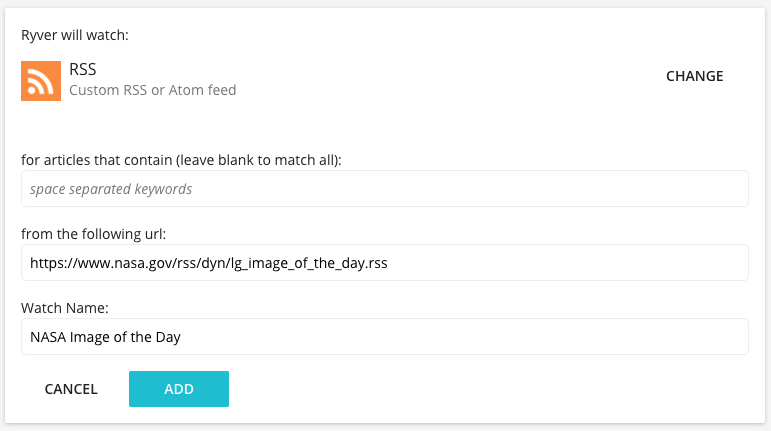 Before you click on the Create Alert button, click on “Show options”, and select “RSS feed” as the “Deliver to” value. 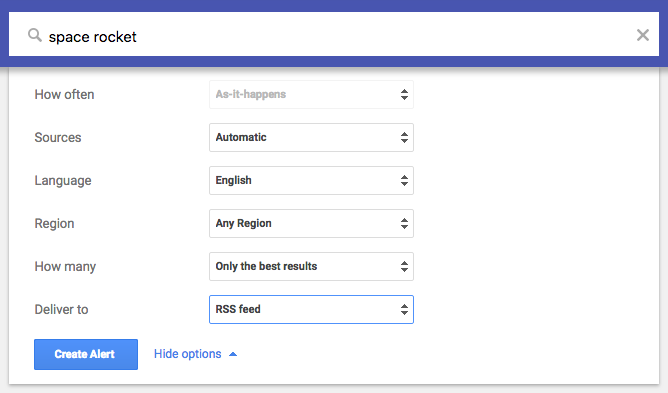 Right-click on the RSS button for your new Google Alert, and copy it. Use this URL to create a new RSS Watch in Ryver.